If there is one thing that everyone knows about Florida, it is that the weather around here is extremely hot for much of the year. Even those people that have never been to Florida can immediately conjure up a relatively accurate image of hot, steamy summer days. It is a well-earned reputation, and this is precisely why you need dependable air conditioning in Pasco County, FL. Working with Bayonet Plumbing, Heating & Air Conditioning guarantees that your home cooling system will be up to the challenge. From brand new air conditioning installations to routine air conditioning maintenance and the occasional AC repair, our team can do it all. The last thing that you want is to spend your hard-earned money on a great AC from a trusted manufacturer only to see its performance come up short due to subpar air conditioning service or installation. You won’t have to worry about that when you hire our technicians, though, so let us help you to live in the comfort that you deserve. Call us today to schedule air conditioning services in Pasco County, FL and the surrounding area. If you are thinking about cooling your home with a bunch of window unit air conditioners, we honestly hope that you will reconsider. These systems may be fine in cooler climates, or for use in dorm rooms or studio apartments. If you want to cool an entire house, however, a whole–house cooling system is definitely the way to go. We install and service many different types of whole–house air conditioners. Split central air conditioners, which remove heat from the air and redistribute that cooled air throughout the house via a system of ductwork. Ductless split units, which don’t use any ductwork in their operation. Instead, wall–mounted blowers are used to cool the areas in which they are installed. Packaged air conditioning systems, which conveniently house nearly all vital components of the system in a single, easy–to–access unit. Heat pumps, which function just like central air conditioners but can also reverse their operation to allow for very efficient heating. Ductless mini–split systems may also utilize this technology. If you are serious about getting the best performance that any air conditioning system has to offer, then you are going to need a professional air conditioning installation in Pasco County, FL. This is simply not a job that an unqualified individual can handle. When we complete your air conditioning installation, your system will be sized appropriately for your home, and expertly installed therein. Not only that, but we can also help you to find the perfect air conditioning replacement. While investing in a good system and scheduling routine maintenance is going to help you get the best performance from your AC for as long as possible, the fact is that no system will last forever. When the time comes to replace your AC, make sure that we’re the professionals that you call. Our installation crews are experts at ductwork and installations. 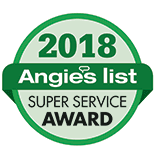 We install ductwork in over 3,500 home every year, so when it comes to installation and engineering of efficient and effective ductwork system, we’re the best. If your duct system isn’t adequate, you won’t be happy with the system, no matter how state–of–the–art it is. Your system also won’t perform to its highest efficiency level. You won’t be unhappy with our installations. We guarantee it. Eventually, your AC unit is going to need to be repaired. Even the very best systems out there are still mechanical systems, and that means that they will encounter operational issues at some point. The best thing to do when this happens to your system is to schedule prompt air conditioning repair in Pasco County, FL with trained professionals that you can trust to do the job right. Now, there is a way to keep these inevitable repair needs as infrequent and minor as possible. That is to schedule routine air conditioning maintenance. Allowing our technicians to tune your system up on an annual basis will help to keep your system in the best working condition possible. It also maintains efficiency levels and overall cooling output. Call today to schedule air conditioning services in Tampa, Orlando, Brandon, Clearwater and surrounding Pasco County communities.